Of course there are advantages to owning a pool, but what are they? It might be winter now, but gorgeous, sunny days are right around the corner! While most people can come up with numerous reasons why having a pool would be lovely, Paradise Pools is happy to help teach you a few more reasons if you’re coming up short! Why is owning a pool such a great thing for homeowners? Whether you’re a swimmer or someone who enjoys low-impact exercise, working out in a pool is a lot of fun. You can enjoy easy exercise without putting strain on your body or your joints. Water actually offers more resistance than air for building muscle, but is easy on your joints since they are supported. If you get a free dip in the pool at the same time you’re working out, that’s just a bonus! Many people dislike the thought of owning a pool since they think about the dirty neighborhood pools of their childhood. In reality, you control how clean your own swimming pool is. 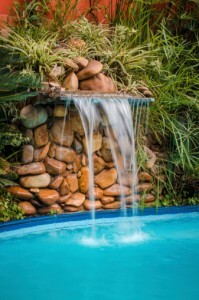 Your private pool will be treated and maintained by you or a professional, so you can trust how clean things are. You can also install a poolside shower to make sure everyone getting in is free from any outside debris. Here’s a simple reason to own a pool–they make you happy! Water is a natural stress reliever. Taking the time to float in a pool can make your stresses flow right out of your body. Did you know that even being next to a pool can help to make you happier? It’s true! 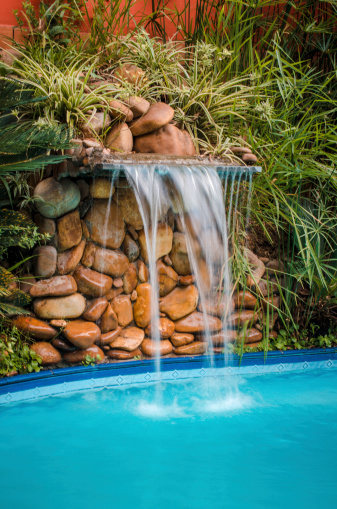 If you want to make your pool into an even more relaxing spot, you can install another water feature or waterfall to offer you beautiful background noise while you soak. Finally, you’ll get to spend some time with the ones that you love. Swimming pools are natural magnets for entertaining and spending time with family and friends. If you want to take time to relax with your family and see what your grandkids are up to, installing a new pool is a great way to do so. This entry was posted on Friday, February 2nd, 2018 at 12:37 pm. Both comments and pings are currently closed.